Forefront of thermoplastic technology - AGRU AMERICA, INC.
For more than 30 years in Europe, Agru has been at the forefront of thermoplastic technology producing a wide range of pipes and fittings for the construction, chemical and environmental industries. 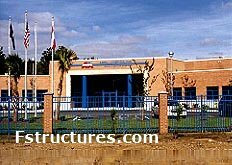 High quality sheeting of HDPE has been produced since 1986 on the most modern production equipment available and has been supplied to over 80 countries. 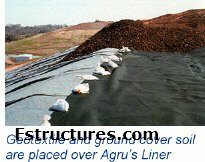 Agru America's production facility is located in Georgetown, South Carolina where an extrusion calendering process produces the industry's finest quality HDPE and LLDPE geomembrane products. Product and service excellence has assured Agru’s expanding role as a top quality supplier of products whose high performance is essential to the success of each project requiring such material. More information you can find at www.agruamerica.com. Also, click here to learn about Agru America's parent company, Agru Austria, and their products and services.